The results of last week’s Great Makeup Debate? Mixed. After work, I simply got on the inbound train as opposed to the outbound. I got off at the Copely stop. I oriented myself quickly to the Big Library, went in, found my book right away, checked it out (and a big stack of otherrs) and went along my merry way down Boylston. The Prudential Center presented itself, I took the escalator up, found what I was looking for, purchased what I was looking for, continued through the mall to the other side, found the Prudential stop…. INSIDE the Prudential. Hopped on the train. Went home. First of all, it became quickly apparent that I could not afford much of anything in such a silly store as Sephora. 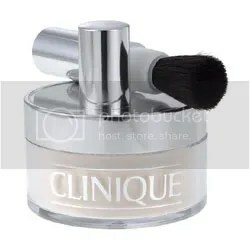 Or at least what I was looking for – foundation & powder. So my choice was greatly limited by price. I found a single brand that met my desire to get out of the store spending as close to 50 dollars as possible. So I ended up with Clinique, Even Better foundation and some translucent powder. The powder is top notch. AND IT CAME WITH IT’S OWN BRUSH! This excites me. I haven’t had a powder brush since I lost my Bath and Body Works one, and then Bath and Body Works stopped selling makeup and I was plunged into a pit of depression and never got around to buying another one. And it’s just the added-value SUPRISE factor. A little Lagniappe, if you will. Makes me feel better about dropping 20 bucks on face dust. 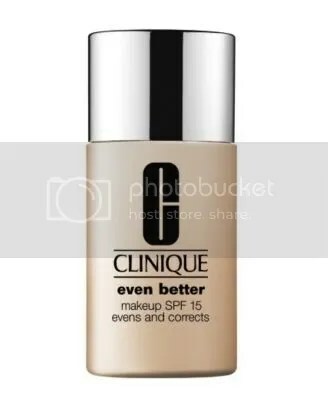 The foundation, I chose on a whim because it had an SPF 15 and the other Clinique formulas did not. Sadly, it is a *little* too much coverage for me, and is also a *little* too dark for my skin. I thought the Very Bottom of the Spectrum looked weird on my skin, so I went with one up from the bottom, and now am suffering from severe Orange Face. It looks okay, though, with the lighter powder. And maybe I can just wear turtlenecks once the weather cools down and nobody will notice! 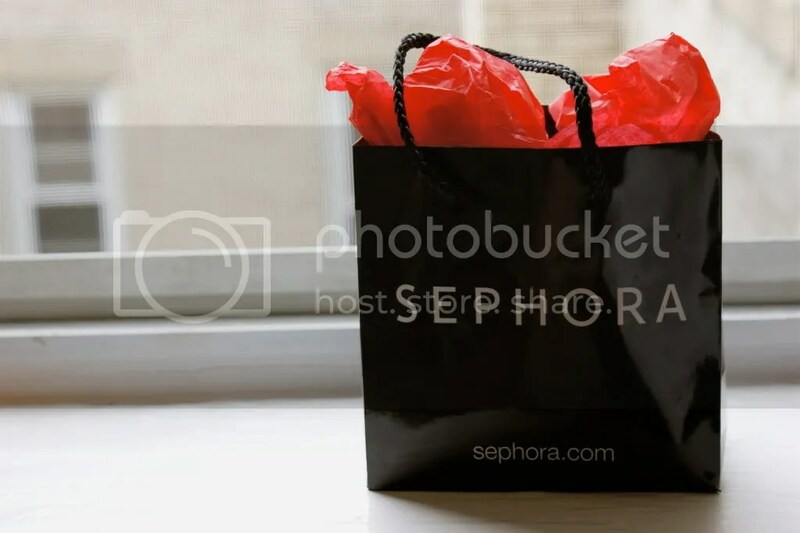 Ah, but the joy of Sephora is that you can take stuff back! I always feel like I can’t walk into that store unless I’m dressed nice and my makeup is perfect. I was going to stop in today, but I was looked pretty rough, so I went to Target instead. 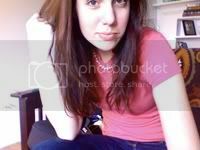 i think you look cute in the pic! i need to learn makeup too… but i dont have the balls to walk into sephora. i feel like a fraud just standing in front of the makeup section at the drug store. oh, i wish we lived nearby, i would go and hold your hand (figuratively, not literally…. or whatever) Sephora is fun, because you can try everything on. Including bright orange lipstick and sparkly green eye shadow. So you can totally go in with a friend on the guise of applying strangely colored mascara, and scope things out on the sly. and, in my typical awkward fashion, i walked in after visiting the library, so my bright green backpack was overflowing and huge – a big turtle shell on my back – and then I crouched down and unpacked part of it so I could find the makeup cheat sheet i’d jotted down earlier in the day. haha that is SO cute! maybe you’ll vicariously give me strength to go… or maybe one day you guys will come down for a long weekend in my educational city and i can hijack you then, haha.